Up for auction is my 1937 Ford Pickup. 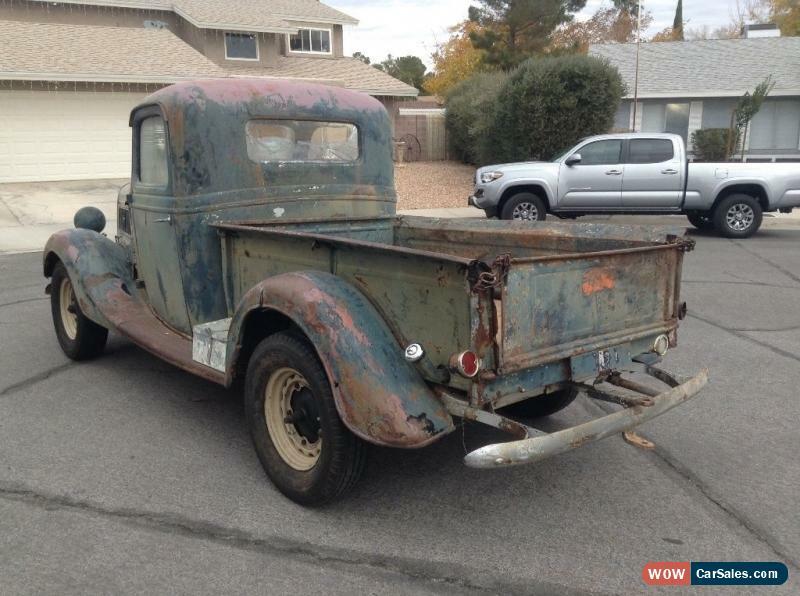 This is an awesome restoration project or put an engine in it and run it like it is. The truck is missing the engine and radiator. do have 1937 Ford Flathead motor that will be available to the new owner if the price is met. The truck is mostly complete and the only rot in the truck is in the driver side door rocker as you will see in the picture. When found the truck it had broken rear passenger side axle so it was leaning towards the passenger side so the water would just pool up in that area causing the rust. Truck was sitting in field in northern Nevada for 40 plus years. The frame is super solid. put spare rear end under the truck to fix the axle but had to pull the driveshaft because the rear in it now is 37 car rear end with the output spline cut off, it's just roller rear end. will also include the factory truck rear with the broken axle. 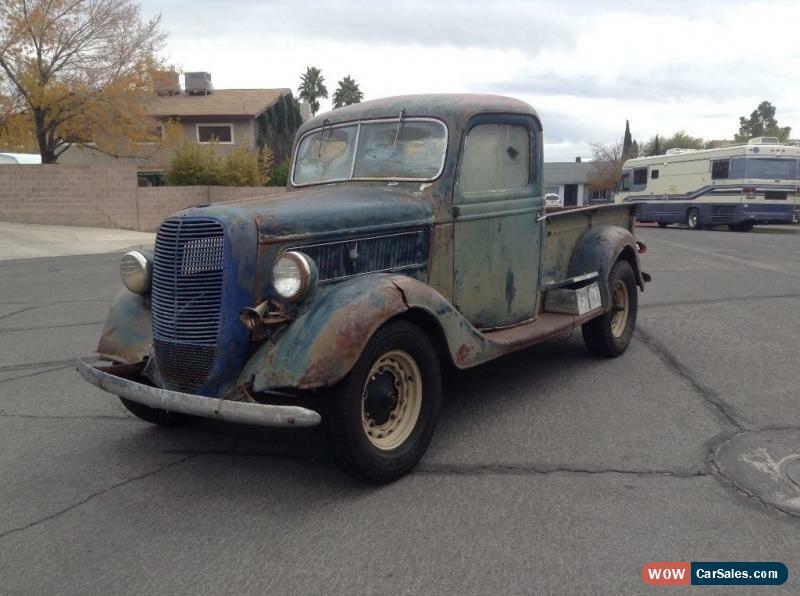 This is really cool old truck that would be an awesome rat rod or full restoration project. Truck comes with clean Title and will be sold as is where is with no warranty implied. The tires on the truck are just rollers to move the truck around and roll onto trailer. 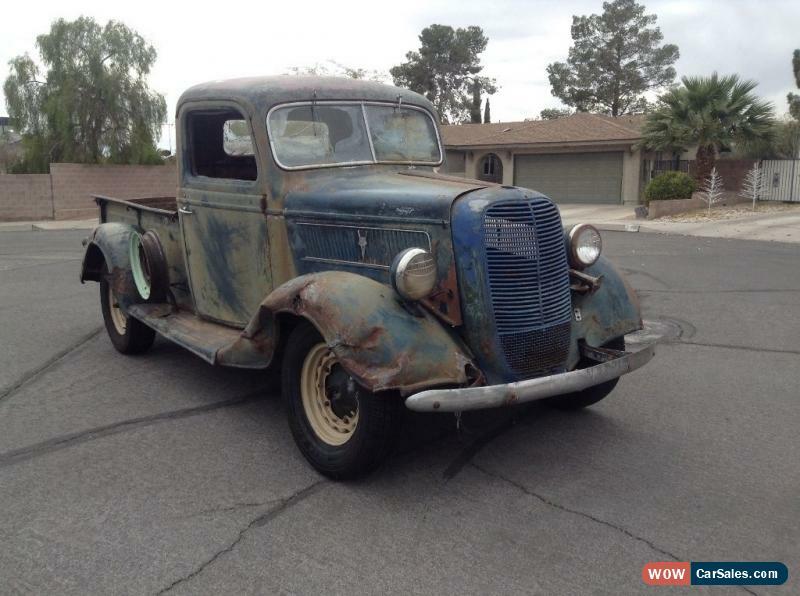 Bid to win this cool old pickup!